For business or pleasure, the ride to Colorado Springs will definitely be a memorable one. 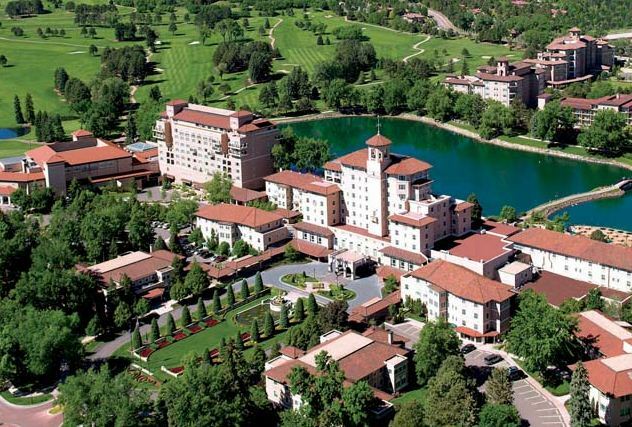 The Broadmoor resort is a vacation destination with many interesting activities and outdoor adventures. The hotel also organizes weddings and celebrations, as well as business meetings and events.Express Colorado Transportation offers personalized luxury transportation with plenty of options and flexible services. The Broadmoor Hotel was opened in 1918 and its beauty comes from the historic heritage, magnificent nature beauty and unique high-quality accommodations service offered to their guests. The West tradition is maintained, modern comforts are guaranteed, Five-Star and Five–Diamond restaurant unique in Colorado is available here, retail shops, fun programs and activities for all ages are offered only at Broadmoor.Trust us, Express Colorado Transportation, with your Denver Airport To Broadmoor hotel Transportation needs and we will add to your vacation an amazing experience of refinement and efficiency. At the southern edge of the Rocky Mountains, in the splendor of Colorado Springs, is situated the luxurious Broadmoor Hotel. This amazing destination is easily accessible and it is just 90 minutes from Denver International Airport. There are shuttles and public transportation services, but the most comfortable and reliable way to travel from Denver Airport To Broadmoor, Colorado Springs is by private transportation. Express Colorado Transportation provides chauffeured limo service ( Town car, SUV, Stretch Limousine) and the respectable reputation gained over the years, granted the company top place in the private transportation market. Our clients can choose the Cars they prefer from a huge fleet of stylish vehicles. All the cars come with the latest safety and GPS systems, also, with modern amenities and comfort. Customers can also ask for support from our operators if they need more details or help with choosing the best package for their requirements. Anyone riding with us will enjoy a stress-free trip; will be able to gaze at the breathtaking landscape on the way to Broadmoor. Picturesque nature will accompany travelers and there will be no traffic jam worries, no arriving to Colorado Springs late worries. Our state-of-the-art limo service will add extra serenity and quality to any trip, be it for business or for pleasure.